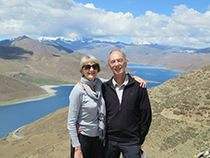 All our Tibet tours will bring you the destination as close as possible. We offer private tours with English speaking local guides, private transfers and handpicked accommodations. 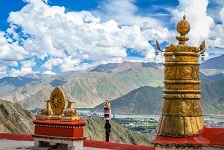 Whether you want visit the highlights of Tibet or looking for an in depth experience, our travel experts tailor made the right holiday package for you. Tibet, known as the Tibetan Autonomous Region within China, is located on the immense Qinghai-Tibet Plateau with the altitude averaging 4,000 metres. 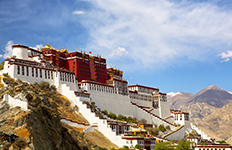 Locked in its mountain fortress of the Himalayas it is only recently that outsiders have had open access to visit the holy city of Lhasa and other parts of this mysterious region. Many times the size of Nepal or Bhutan, there has never been a better time to visit this area of the world before it becomes overly popular and undergoes modernisation. Please note: The government stopped approving special permits for February & March for foreigners. 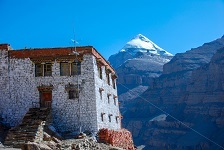 Catch a glimpse of the picturesque Tibetan countryside, witness amazing views of the Himalaya and immerse yourself within the history of the old cities. 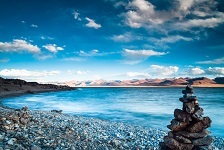 Witness the "Heavenly Lake" of Tibet, also known as the Namtso Lake, visit Tibet's most impressive sights and stroll through the history of Lhasa, Gyantse and Shigatse. Take part in rituals and haggle for a bargain in the markets. From modern Beijing, travel back in time across scenic countryside to Tibet on this well-packed overland adventure. 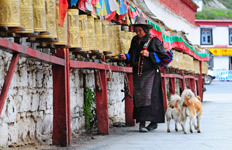 Mountain locked and remote, Lhasa has a thousand years of cultural and spiritual history. 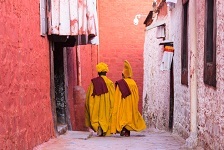 The Tibetan capital is surrounded with a romance and mystique that captures the imagination like few other cities in the world. 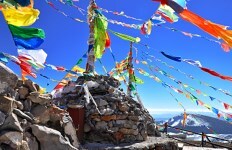 Get acquainted with the history of Lhasa, experience the Everest Base Camp and relax at the holy Namtso Lake. 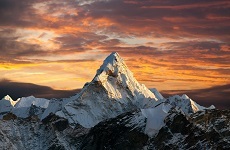 Witness the sun rising from the top of Mount Everest and visit the main tourists sites of Tibet with this 8-day trip. Take part in the famous Tibetan Kora pilgrimages, visit the Everest Base Camp and visit the old cities of Tibet drenched in history. Locked in its mountain fortress of the Himalayas, Tibet has long exercised a unique hold on the imagination of people the world over. It's only recently that outsiders have had open access to visit this amazing region. 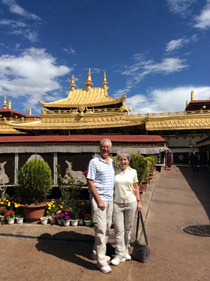 Lhasa is at the epicenter of all things that is Tibet. Get the broad perspective on Tibet with this short, engaging tour that goes at great length to demystify the forbidden kingdom.